The Reardon Law Firm, P.C. represents ordinary people against big corporations and powerful insurance companies. With a skilled staff of lawyers, paralegals and legal assistants, The Reardon Law Firm has gained a national reputation by successfully handling thousands of serious personal injury and wrongful death lawsuits. Winning trial skills, meticulous preparation and an unwavering commitment to clients and their cases all add up to a record of multimillion-dollar verdicts and settlements. Tenacity: We advocate fiercely for those we represent against large companies, insurers, government entities and religious institutions like the Catholic Church. Accessibility: When clients call our office, a real human being answers the phone. If an attorney is not available, clients always receive a return phone call. Integrity: For decades, the firm has maintained the highest standards of ethics and integrity. Martindale-Hubbell has recognized attorney Robert I. Reardon, Jr. as an AV-rated attorney, the highest such rating available to an individual lawyer for both legal ability and ethical standards. The Reardon Law Firm, P.C. traces its beginnings to the law firm of Hull, McGuire & Hull, which successfully practiced law in New London at the turn of the last century. attorney Frank McGuire, a partner and eventual principal of the firm, had a thriving general practice through the 1920s and '30s. In 1940, his son, Morgan K. McGuire, joined the firm as an associate. By the time his father died in 1947, Morgan K. McGuire had become a skilled litigator. Over the more than 30 years that attorney Morgan K. McGuire practiced law in New London, he was known as a tenacious trial lawyer. In 1967, attorney McGuire was joined by attorney Michael D. Shapiro, and the firm became known as McGuire and Shapiro. It was incorporated in 1971 as a professional corporation, and attorney McGuire served as its president until his untimely death in 1974. Upon his death, the corporate name of the firm was changed to Shapiro and Reardon, P.C., and attorney Robert I. Reardon, Jr. was elected an officer and director. 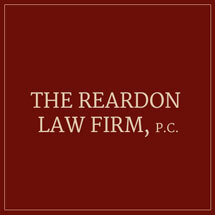 The firm became known as The Reardon Law Firm, P.C. in 1984 when attorney Reardon was elected president. With an ever-expanding client base, The Reardon Law Firm, P.C. uses the most sophisticated and advanced information systems available, while at the same time delivering legal services to clients on a one-to-one basis, much the same as the founders of the firm did more than a century ago.